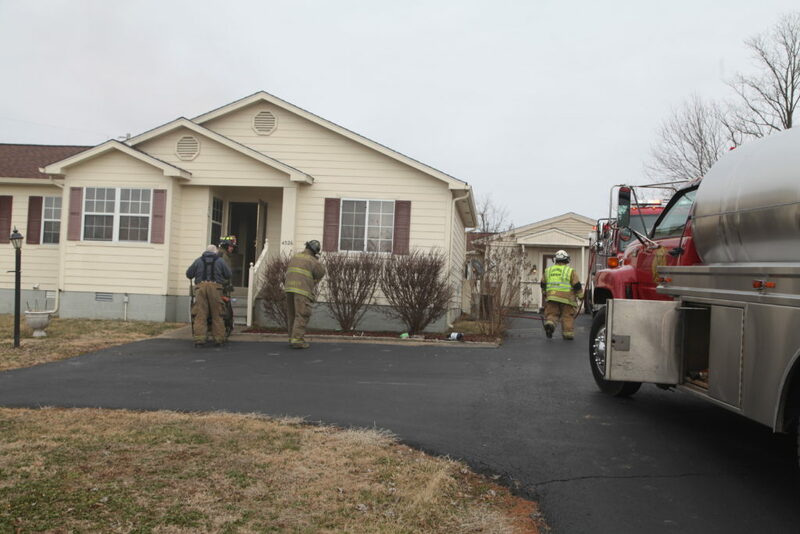 The Adair County fire department responded to a residential fire Tuesday afternoon that partially destroyed a kitchen and left a house with smoke damage. Firefighters responded to 4326 Pelham Branch Road following a 911 call from property owner, Thomas Turner, indicating black smoke was filling his house and flowing out of his back door. 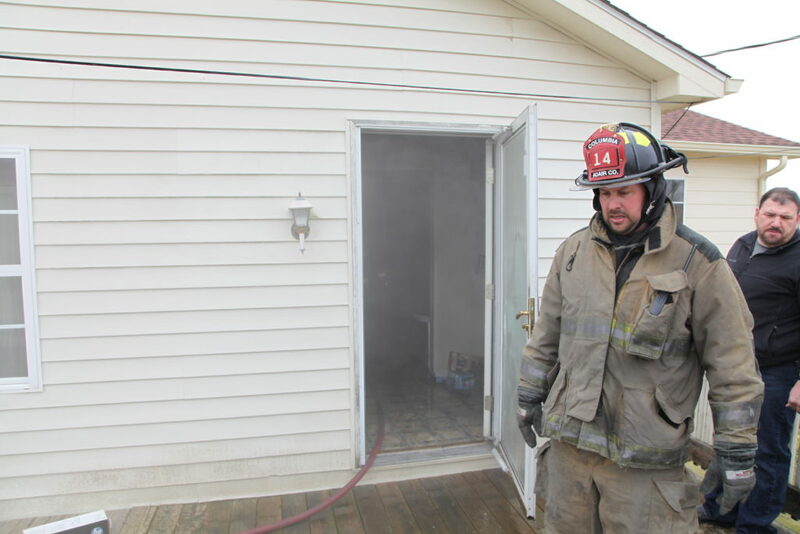 First responder Tracy McCarol was the first to arrive on scene and was able to hook up a residential water hose and spray the kitchen area as best as possible before firefighters were able to arrive on scene. 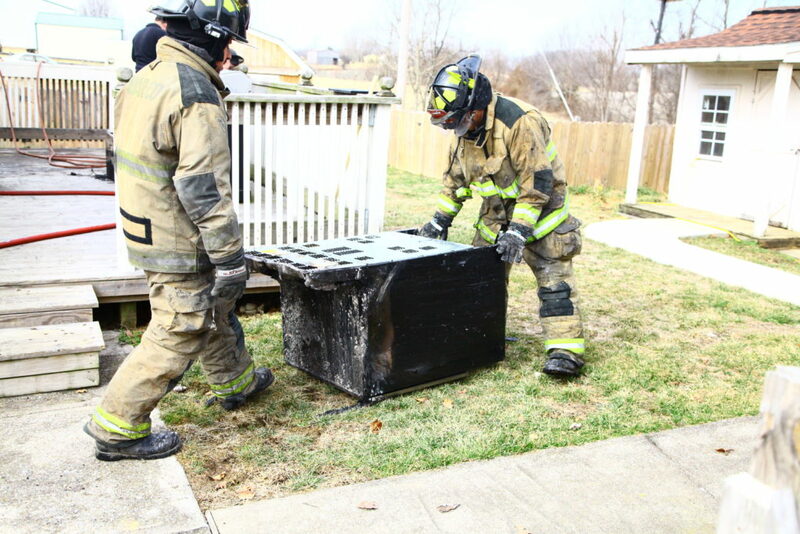 Turner said that he had set his oven to a “cleaning” cycle and had stepped into his back yard with his dogs for about an hour. When Turner attempted to go back into his home, he noticed smoke billowing and heard loud popping noises coming from his kitchen area. 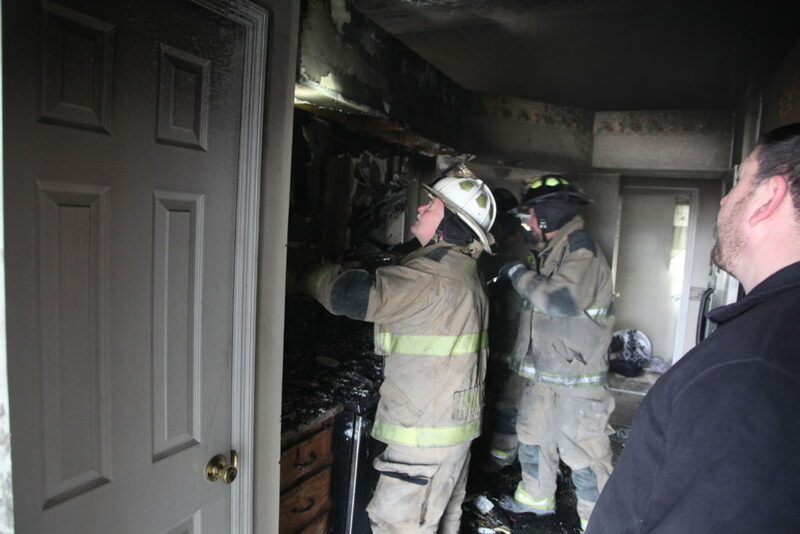 Firefighters were on scene for more than an hour working to remove damaged appliances and other parts of the kitchen. No injuries occurred during the fire, but Turner was treated briefly on scene by Adair EMS personnel for smoke inhalation.